A new inclusive carousel in the playground at Seaview Avenue was unveiled by Arklow Municipal District on Friday (March 1st). The Spinmee Inclusive Carousel was funded by Arklow Municipal District and the Community, Cultural & Social Development (CCSD) Section of Wicklow County Council. The carousel is accessible to those with mobility impairments as well as wheelchair users. Its rotating base is flush with the surrounding safety surface allowing for easy transition between the surfaces. The design of the carousel allows for both seated and standing users while also featuring two locations that can securely accommodate wheelchairs. During 2018 this playground was also resurfaced using funding received from the Department of Children & Youth Affairs through CCSD. The project was begun at a meeting of Arklow Municipal District in February of last year by Cllr Miriam Murphy and has now resulted in the installation of this inclusive piece of equipment. The proposal was seconded by Cllr Sylvester Bourke and unanimously agreed by all members. 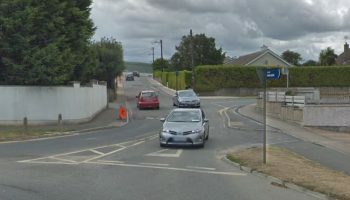 Cathaoirleach of Arklow Municipal District, Cllr Miriam Murphy, stated: “To date the design of playgrounds has generally incorporated the needs of children with disabilities through the provision of specialised equipment in a dedicated area which has created further exclusion for these children”. Seaview Avenue playground is located beside the Moments in Time Dementia Friendly Garden.